To be eligible to participate in the Pay4golf.com Fantasy Game Central, you must be (a) Registered User of Pay4golf.com, and (b) at least eighteen (18) years of age or older at the date of entry in this game. For purposes of these Official Rules, "Registered User" means a person who has successfully completed the registration form and has obtained a Username ("ID") and password ("Password") on the Pay4golf.com website. Void where prohibited by law. Pay4golf.com will serve as the administrator of the Pay4golf.com Fantasy Game Central and will be responsible for resolving any disputes that arise regarding violations of the rules or any other matters that may come up in connection with the game. Except where prohibited by law, the Prize Winner's acceptance of the constitutes permission for the Pay4golf.com to use Prize Winner's name, photograph, likeness, statements, biographical information, voice, and address (city and state) worldwide and in all forms of media, in perpetuity, without further compensation. Entrants agree to Administrator's use of their names and likeness for advertising and publicity purposes, without additional compensation, unless prohibited by law. Winner Notification will be made for all prizes within six (6) weeks following the completion of the schedule to allow time for the verification of all data and scores potential prize winner will be notified by email. If the potential Prize Winner cannot be reached after a reasonable effort has been made during thirty (30) days from the first notification attempt, such person may be disqualified, with an alternate Prize Winner selected in accordance with these Official Rules. All federal, state, local and other tax liabilities arising from this contest, including, without limitation, will be the sole responsibility of the Prize Winner's. 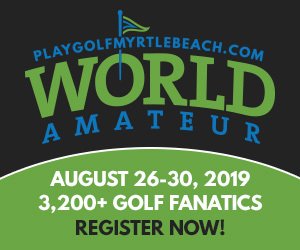 Administrator, in its sole discretion, may disqualify any entrant from participating in the Pay4golf.com Fantasy Game Central, refuse to award, earnings, points or prizes, and require the return of any prizes, or in the event of player selection error(s), award last place points or earnings, if entrant engages in any conduct Administrator deems to be improper, unfair or otherwise adverse to the operation of the game or detrimental to other entrants. Such improper conduct includes, but is not limited to, falsifying personal information required during registration or prize claim, violating any term or condition stated herein, accumulating points or prizes through methods such as automated computer scripts or other programming techniques, allowing others to use the entrant's personal information for the purpose of accumulating points or prizes, tampering with Pay4golf.com's administration of this promotion, or intentionally trying to defraud, reverse engineer, disassemble, decompile or otherwise tamper with the computer programs on this Web site. ANY ATTEMPT BY AN ENTRANT TO DELIBERATELY DAMAGE ANY WEB SITE OR UNDERMINE THE LEGITIMATE OPERATION OF THE CONTEST IS A VIOLATION OF CRIMINAL AND CIVIL LAWS AND SHOULD SUCH AN ATTEMPT BE MADE, ADMINISTRATOR RESERVES THE RIGHT TO SEEK DAMAGES AND ANY OTHER REMEDIES FROM ANY SUCH ENTRANT TO THE FULLEST EXTENT PERMITTED BY LAW. Administrator assumes no responsibility for any error, omission, interruption, deletion, defect, delay in operation or transmission, communications line failure, theft or destruction or unauthorized access to, or alteration of, entries or transactions. Administrator is not responsible for any problems or technical malfunction of any telephone network or lines, computer on-line systems, servers, or providers, computer equipment, software, failure of any e-mail entry or transaction to be received on account of technical problems or traffic congestion on the Internet or at any Web site, or any combination thereof, including any injury or damage to participant's or any other person's computer related to or resulting from participation or downloading any materials in this fantasy golf game. If, for any reason, the internet portion of the game is not capable of running as planned by reason of infection by computer virus, worms, bugs, tampering, unauthorized intervention, fraud, technical failures, or any other causes which Administrators, in their sole opinion of Administrators, deem could corrupt or affect the administration, security, fairness, integrity or proper conduct of this game, Administrator reserves the right, at their sole discretion, to disqualify any individual who tampers with the entry process, and to cancel, terminate, modify or suspend the fantasy golf game. In such event, Administrator further reserves the right to award prizes to the players with the most points as of the termination date. The Pay4golf.com, and their parents, affiliated and subsidiary companies and advertising and promotion agencies, assume no liability and are not responsible for, and you hereby forever waive any rights to any claim in connection with, lost, late, incomplete, corrupted, stolen, misdirected, illegible or postage due entries or mail if applicable; or for any computer, telephone, cable, network, satellite, electronic or Internet hardware or software malfunctions, unauthorized human intervention, or the incorrect or inaccurate capture of entry or other information, or the failure to capture any such information. Pay4golf.com, and their parents, affiliated and subsidiary companies, advertising and promotion agencies, are not responsible for any incorrect or inaccurate information, whether caused by registration information submitted by end users or tampering, hacking, or by any of the equipment or programming associated with or utilized in this game, and assumes no responsibility for any error, omission, interruption, deletion, defect, delay in operation or transmission, communication failure, theft, destruction or unauthorized access to the game. Pay4golf.com, and their parents, affiliated and subsidiary companies and advertising and promotion agencies, assume no liability and are not responsible for, and you hereby forever waive any rights to any claim in connection with, errors and/or ambiguity: (a) in the Pay4golf.com Fantasy Game Central; (b) in any related advertising or promotions of this game; and/or (c) in these Official Rules, including but not limited to, errors in advertising, the Official Rules, the selection and announcement of winners, or the distribution of prizes. In the event of any ambiguity(s) or error(s) in these Official Rules, Administrators reserve the right to modify these Official Rules for clarification purposes or to correct any such ambiguity or error(s) without materially affecting the terms and conditions of the game. Pay4golf.com, and their parents, affiliated and subsidiary companies and advertising and promotion agencies, assume no liability and are not responsible for, and you hereby forever waive any rights to any claim in connection with, the selection and announcement of a Prize Winner, the distribution of a Prize, the acceptance/possession and/or use/misuse of any part of a Prize and/or any injury or damage to any entrant's or third person's property related to or resulting from any part of a Prize or any part of this game. Each entrant in this Pay4golf.com Fantasy Game Central, including, without limitation, the Grand Prize Winner, hereby releases and agrees to hold harmless the Pay4golf.com and their parents, affiliates, subsidiaries, advertising and promotion agencies and their respective directors, officers, employees, representatives and agents from any and all liability for any injuries, loss or damage of any kind to person, including death, and property, arising in whole or in part, directly or indirectly, from acceptance, possession, use or misuse of the Grand Prize, participation in this Contest and participation in any activity related to this fantasy golf game. IN NO EVENT WILL THE PAY4GOLF.COM AND/OR THEIR PARENTS, AFFILIATES, SUBSIDIARIES AND RELATED COMPANIES, THEIR ADVERTISING OR PROMOTION AGENCIES OR THEIR RESPECTIVE OFFICERS, DIRECTORS, EMPLOYEES, REPRESENTATIVES AND AGENTS, BE RESPONSIBLE OR LIABLE FOR ANY DAMAGES OR LOSSES OF ANY KIND, INCLUDING DIRECT, INDIRECT, INCIDENTAL, CONSEQUENTIAL OR PUNITIVE DAMAGES ARISING OUT OF YOUR ACCESS TO AND USE OF THE SERVICE AND/OR THE CONTEST, DOWNLOADING FROM AND/OR PRINTING MATERIAL DOWNLOADED FROM THE SERVICE AND/OR THE CONTEST. WITHOUT LIMITING THE FOREGOING, EVERYTHING ON THE CONTEST AND SOME JURISDICTIONS MAY NOT ALLOW THE LIMITATIONS OR EXCLUSION OF LIABILITY FOR INCIDENTAL OR CONSEQUENTIAL DAMAGES OR EXCLUSION OF IMPLIED WARRANTIES SO SOME OF THE ABOVE LIMITATIONS OR EXCLUSIONS MAY NOT APPLY TO YOU. CHECK YOUR LOCAL LAWS FOR ANY RESTRICTIONS OR LIMITATIONS REGARDING THESE IMITATIONS OR EXCLUSIONS. THE CONTEST IS PROVIDED "AS IS" WITHOUT WARRANTY OF ANY KIND, EITHER EXPRESS OR IMPLIED, INCLUDING BUT NOT LIMITED TO, THE IMPLIED WARRANTIES OF MERCHANTABILITY, FITNESS FOR A PARTICULAR PURPOSE OR NON-INFRINGEMENT. In the event of a dispute as to the identity of a winner based on an email address, the winning entry will be declared made by the Authorized Account Holder of the email address submitted at time of entry. For purposes of these Official Rules, "Authorized Account Holder" is defined as the natural person who is assigned to an email address by an Internet access provider, online service provider or other organization (e.g., business, educational, institution, etc.) that is responsible for assigning email addresses for the domain associated with the submitted email address. This promotion is governed by US law and is subject to all applicable federal, state and local laws and regulations. Void where prohibited by law. All issues and questions concerning the construction, validity, interpretation and enforceability of these Official Rules, or the rights and obligations of entrant and Administrators in connection with this Contest, shall be governed by, and construed in accordance with, the laws of the State of South Carolina, U.S.A. Administrator reserves the right to halt or modify the Pay4golf.com Fantasy Game Central at any time during the game period if events beyond their control compromise the game's fairness or integrity. In the event that a scheduled tournament is canceled or preempted for any reason, no points will be awarded for that tournament for any selected players. All other tournaments in a given week will be scored as per the scoring rules. In the event that a selected player does not participate or is disqualified, no points will be awarded for that player for that week's tournament. All other tournaments in a given week for which a participant selects players will be scored based on scoring rules. By entering, each entrant accepts and agrees to be bound by these rules and by the decision of the judges, which shall be final and binding in all respects. This Pay4golf.com Fantasy Game Central may not be used for any form of gambling. In the event that the game is challenged by any legal or regulatory authority, Administrator reserves the right to discontinue or modify the game, or to disqualify participants residing in the affected geographic areas. In such event, Administrator shall have no liability to any players who are disqualified due to such an action. Administrator: Pay4golf.com, 1031 Sharon Lee Ave, Fort Mill, South Carolina 29708.